My son and I really enjoy playing soccer. Over the past 4 years since he started playing we have accumulated about 6 soccer balls. Some of these we purchased ourselves and some have been received as birthday presents. Finding an effective way to store these balls in some ball storage rack of sorts has really been challenging. My son plays for a local soccer team and trains twice a week. We also train together once per week. So our collection of soccer balls are always scattered between the garage floor, boot of the car (multiple) and the back yard. Inside the garage we have used a ball storage rack of sorts which is essentially a storage bin. Now storage bins are great but not really the ideal solution for balls. The local soccer club that my son plays for uses Tote Bags to store the soccer balls that the teams can share. In fact each coach has their own tote bag for training balls. 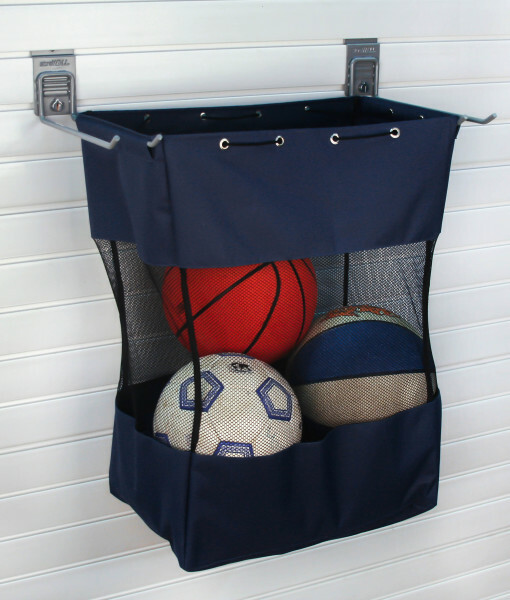 StoreWALL offers its own range of tote bags, but best of all they also offer hooks long enough to enable you to easily hang the tote bags from your garage wall. This is a much more effective ball storage rack than using a bin. The Tote bags offered through StoreWALL come in 3 sizes, small, medium and large. They are made of a tick mesh canvas material with draw strings which can be spread across 2 hooks. The hooks which are attached to the wall with CamLok are called Universal hooks and are 12 inches in length or about 30cm. The sizes of the Tote Bags are Small – 30cm x 45cm, Medium – 45cm x 45cm, Large – 60cm x 45cm. These dimensions refer to the actual width and depth of each bag. 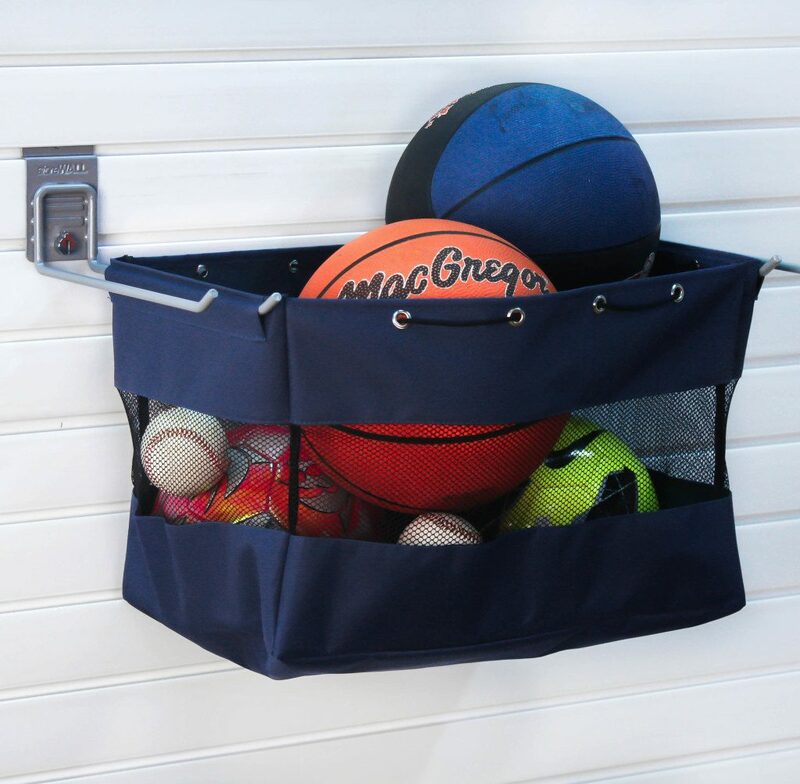 What is actually great about these bags is that once they are removed from the wall (essentially slip off the hooks), the draw strings can be used to close them and they can be taken with you to your sports activity.